With the health care focus squarely on the fate of the Affordable Care Act, little attention has been paid to a looming deadline for the Children’s Health Insurance Program (CHIP). CHIP is authorized through 2019. However, funding expires on September 30, 2017, jeopardizing health care for the nearly 9 million children covered by this program. Despite its relatively small number of recipients compared to Medicaid, CHIP has significantly helped reduce the percentage of uninsured children, especially those with moderate incomes. Unlike Medicaid, CHIP funding must be extended by Congress every few years. To that end, Senators Orrin Hatch (R-UT) and Ron Wyden (D-OR), the chairman and ranking member of the Senate Finance Committee which deals with health care, have introduced the Keep Kids’ Insurance Dependable and Secure Act of 2017 (KIDS Act, S. 1827). This bipartisan bill would extend CHIP funding through Fiscal Year 2022. 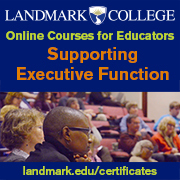 The longer the extension, the easier it is for states and recipients to plan ahead. The House has taken no action to date, and, with time ticking down, it is clear some stopgap action will be necessary to keep CHIP alive. According to the Medicaid and CHIP Payment and Access Commission (MACPAC), advisors to Congress on Medicaid and CHIP policy, states are estimated to exhaust funding for CHIP by summer 2018. In fact, Arizona, Minnesota, North Carolina, and the District of Columbia would run out of their federal CHIP funding by the end of this year, and by March 2018 another 27 states will have spent down their funds. Minnesota and Washington, DC have already said they will absorb any children into the Medicaid program if funding is not continued. CHIP was meant as a companion to Medicaid, with states either establishing independent insurance programs or expanding Medicaid coverage beyond the federal minimum for children up to 18. Most states developed a combination of the two options, providing coverage for families with lower incomes but above the income requirement for Medicaid. In fact, more than half of CHIP-funded children are in Medicaid and receive full EPSDT benefits, some of which are delivered in schools. 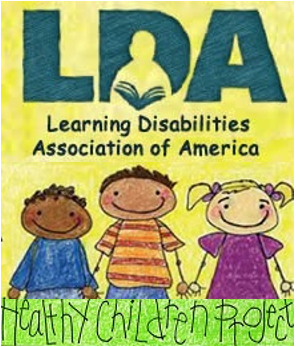 LDA has joined with other education, disability, and health groups to inform Congress of the importance of this program to children with learning and other disabilities. The organization will continue to follow this program closely as part of the overall health care debate. With a looming September 30 procedural deadline for a simple majority vote on the Graham-Cassidy health care bill, Majority Leader Mitch McConnell (R-KY) decided not to bring the bill to the floor for a vote. This does not necessarily signal the end of the conversation. After September 30, the Senate could attempt to pass a bill with the required 60-vote majority. However, the more likely scenario would be to hold off on health care, especially as Congress moves to address tax reform. In order for Congress to again have the option of a simple majority vote, they will first have to pass a budget resolution for Fiscal Year 2018 (FY 2018). This has proved very difficult in the last few years, so the future of health care legislation may rest more on current bipartisan negotiations to provide fixes for the Affordable Care Act. The disability community – including LDA – was heavily involved in educating lawmakers about the impact of the loss of health care for individuals with disabilities. At a Senate Finance Committee hearing on September 25, a vocal group of disability activists literally caused a delay in the start of the proceedings, and the optics of people in wheelchairs and others being held back by Capitol police officers was quite stunning. Fortunately the demonstration was buoyed by the testimony of several witnesses who highlighted that health care coverage is critical for individuals with disabilities, in some cases a matter of life and death. For individuals with learning disabilities, therapies and counseling are often critical to supporting them in activities of daily life. In addition, the non-partisan Congressional Budget Office noted that “millions” of people stood to lose coverage under the proposed legislation over each year of the next decade. LDA joined with its partners in the Consortium for Citizens with Disabilities, the umbrella disability coalition of over 100 national organizations, to express its continuing concerns over the impact of the health care bill. 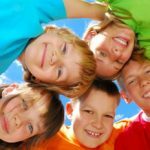 LDA also worked with special and general education groups fighting to preserve Medicaid, which provides $4-5 billion to schools each year for specialized instructional support services to children with learning disabilities, including, speech-language and occupational therapy and counseling services. Despite the failure of the latest attempt to repeal the Affordable Care Act, LDA will remain on alert for further actions on health care as the new fiscal year (FY 2018) begins on October 1, 2017. As reported last month in LDA Legislative News, federal Fiscal Year 2017 (FY 2017) ends on September 30, and Congress once again has not reached agreement on the 12 appropriations bills to fund the government for FY 2018. This lack of action prompted passage in early September of a Continuing Resolution (CR), a stopgap measure to keep the government operating until December 8. In addition, concerns continue to be raised over severe budget caps that prevent Congress from appropriately funding critical programs. In mid-September, the House managed to complete an omnibus bill that includes FY 2018 funding for all 12 appropriations bills. That package is $72 billion above the current cap on defense spending and $5 billion below the non-defense discretionary (NDD) cap. 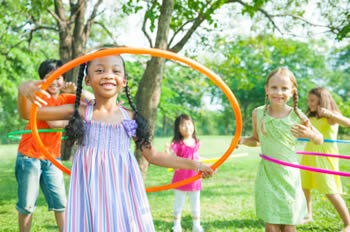 NDD includes all of LDA’s priorities – education, health, job training and employment, environmental issues and others. On the other hand, the Senate decided to align its appropriations bills with current FY 2017 spending levels, which are slightly above FY 2018 spending caps, thus creating two completely different spending packages in the two chambers. The December 8 expiration date for the CR hopefully provides some motivation for the House and Senate to work out their different approaches to FY 2018 funding as soon as possible. However, the “elephant in the room” continues to be the Budget Control Act of 2011 (BCA), which imposed deep spending caps that will continue without further congressional action into 2021. For several years Congress has passed waivers of the caps to allow for greater flexibility in funding, as leaders on both sides of the aisle have expressed concerns over the restrictive nature of the caps. Without an additional waiver or a complete change in the BCA, Congress will face this same dilemma in each subsequent year. As December nears, Congress has three options: once again to waive the caps and negotiate and pass sensible funding bills, to keep the current austere caps on spending, or to punt and pass a long-term CR until they resolve these issues. 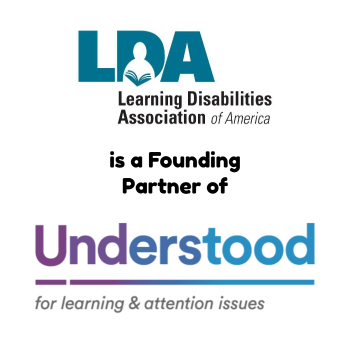 LDA will continue its efforts to educate Congress on the critical education, health, and training needs of individuals with learning disabilities and the importance of assisting states with adequate federal contributions. The bill sponsors expressed concern that mental health care may vary widely depending on the child’s socioeconomic status, ethnicity, or state of residence. In 2008 federal legislation was enacted to require health insurers to provide parity between mental and physical health. H.R. 3192 would ensure CHIP, in the same way, covers services for children in the program experiencing mental illness. Research shows 1 in 5 children, either currently or at some point in their lives, have had a seriously debilitating mental health issue. The most common disorder among children ages 8 to 15 is attention-deficit/hyperactivity disorder, affecting 8.5 percent of this age group, followed by mood disorders (around 3.7%) and major depressive disorder (2.7%). Napolitano, who chairs the Congressional Mental Health Caucus, also recently reintroduced the Mental Health in Schools Act, with bipartisan co-sponsorship from Representative John Katko (R-NY). Senator Al Franken (D-MN) is the sponsor of the Senate companion bill. The legislation creates $200 million in grants to be distributed to 100 schools for partnerships with local non-profits to provide on-site mental health services for students. Both bills represent an increasing awareness of mental illness and the impact on children’s success in school and daily life. LDA has an active committee dedicated to addressing these problems for children and youth with learning disabilities and is supporting these legislative efforts to ensure appropriate diagnosis and treatment.